The iPhone 6s and the 6s Plus have been around for more than a month now, and needless to say, they have made their way to many a person's pocket. There is no data exactly how many new iPhone units were shipped during the past month or so, as Apple has not yet disclosed official data, but we suppose that Cupertino could once again shatter its own sales records. We, being the techy heads we are, have had more than enough time to get to know the new iPhone 6s and 6s Plus quite well. What's more, each of us has had the chance to give the device a spin and see for himself whether it tick just the right boxes or not. Needless to say, some authors liked it, others didn't, but hardly anyone remained indifferent. As each of the writers here at PhoneArena has impressions of the two iOS champs, we decided to sum them up in an article and share with our readers what we really think of the iPhone 6s and 6s Plus. Sep 30, 2015, 1:19 PM, by Ray S.
Sep 30, 2015, 10:05 AM, by John V.
The Apple iPhone 6s and Apple iPhone 6s Plus both bring some new features that make them worthy updates. The 3D Touch is at the top of that list. I would have liked to see Apple bump the resolution to QHD on the iPhone 6s Plus, and bring in a larger capacity battery. As usual, the average consumer will be hypnotized by the iPhone name and the fact that both units "just work." This is the direction that Apple seems to be going in, aiming for the middle while flagship Android phones fight for the business belonging to specs hungry smartphone addicts. 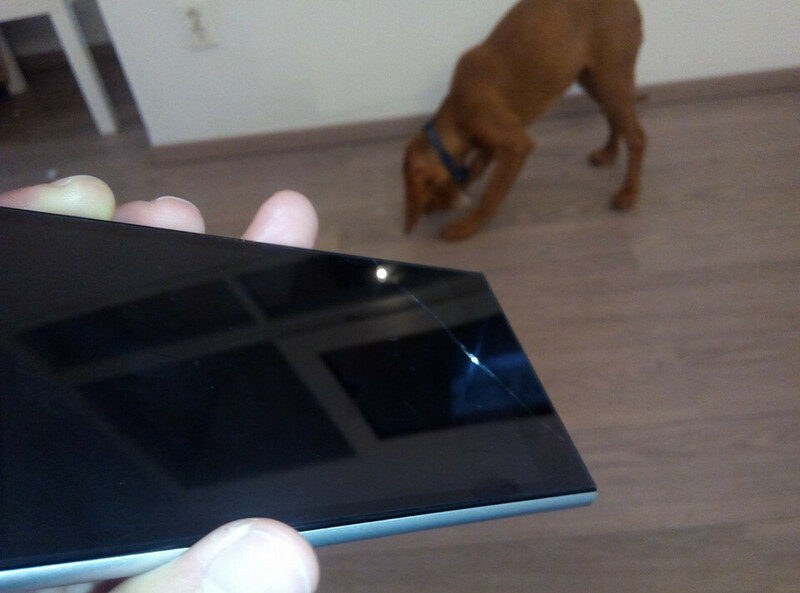 Having wrecked my Xiaomi Mi3 to smithereens, a spot was open on my daily driver list. Surprisingly even for me, I decided to replace it with one of our resident iPhone 6s units, giving me the opportunity to sample the menu. To start off, it's just a great all-around phone and I scoff at fellow Android fanboys who try and bring it down based on meaningless numbers taken off a specs sheet. Sure, it's not perfect, and is even inferior in a few ways to what's out there, but it's still a contender for the best all-around package right now. For example, this phone is ridiculously fast (yes, faster than octa-core Androids) and the UX design team at Apple remains unmatched. I constantly see confirmation of this in the little touches that are part of iOS 9, and that I've found are missing with pretty much every custom Android overlay. The fingerprint scanner is also excellent, and so are the two cameras — the selfie snapper, in particular, is significantly improved through the display flash. It really works! As for 3D Touch, the jury is still out on whether that one really adds enough to justify the years spent in development. So far, it's only something to show off to friends in my (short) experience. My biggest complaint with the iPhone 6s is battery life. Sure, standby times are incredible, but I can't quite coax as much screen-on time as I could with some recent Android devices I've used. Still, with my kind of usage, on average I'd easily get a day and a half, and that's more than sufficient for most. For me to overlook this possible weakness and still recommend this phone is indicative of the high regard I have for it, even as an Android fan at heart. I know the 6s Plus makes sense for a ton of people, but I'm not at all a fan. With its brutish looks, it's definitely the uglier of the two in my eyes. The design simply doesn't translate that well, and especially when so much of the body is covered in bezels, further making it a hassle to use. This is coming from somebody who uses a bag to store his phone, so it's not like I have no convenient way to transport it. Anyways, since it's essentially the same phone as the iPhone 6s, there are only a few (but rather important) differences that I've noticed so far: notably better battery life and superior low light performance with the camera thanks to OIS. Quite frankly, these are still insufficient for me to consider it, though I might think otherwise once I muck up some great night shots. With the unique pressure-sensitive 3D Touch displays, a camera now in the double megapixels digits with 4K video recording option, a new rose gold color, dynamic wallpapers, record LTE bands count, and other major novelties compared to the iPhone 6, the iPhone 6s has more than ten major mid-cycle upgrades, making this "s" version the most worthy to get for owners of its predecessor than ever before. This might have been the whole point for Apple to entice you to jump the gun, as the unnaturally high new feature count means it won't be only iPhone 5s owners flocking in droves to the iPhone 6s, but there are quite a few iPhone 6 owners in the wings, too, who will be rushing for an early upgrade. that's exactly what many people want, right? Thanks to various improvements (I won't bore you by enumerating them), the iPhone 6s and iPhone 6s Plus are the best iPhones yet. But that's not really something we should praise Apple for: it's not like anyone is expecting new generation devices to be inferior to older ones. I don't understand why Apple is using the following tagline for the iPhone 6s and 6s Plus: "the only thing that's changed is everything." Everything? Seriously? The design is the most obvious aspect that hasn't changed from last year's iPhone 6 series (though it's nice to see that the 6s and 6s Plus are made out of tougher aluminum alloys). It's not a bad design by any means, but it just seems that Apple is taking a very lazy approach in this regard, constantly releasing similar-looking handsets for two years in a row. Another thing that hasn't changed is the fact that the cheapest iPhone models still have 16 GB of storage space. I don't think a flagship handset with just 16 GB of non-expandable memory should exist in 2015, but Apple obviously begs to differ. Hardware aside, iOS did change, but only to some extent, because it still has plenty of the same old annoying limitations. Perhaps Apple should have saved the "only thing that's changed is everything" tagline for next year's iPhones. There's a reason why the iPhone 6s appeals to a wider audience, it's mainly because its size. Yes, there's a new camera, 3D Touch, 4K video recording, and so on, but its appeal extends largely to its size. And nowadays, it's tough finding phones that are easy to use with one single hand. After spending time with 3D Touch, I find myself using it less and less - partly because so very few apps support it. Despite that, it's a solid phone for those who crave a bigger sized phone. Who knows, after using the iPhone 6 Plus as one of my daily drivers, I find little incentive pulling the trigger to make the upgrade, especially when it's so expensive for the 128GB model. The iPhone 6s is gorgeous, fast, and I find great sophistication in its elegance and simplicity. In many ways, it's exactly what I want in a smartphone! However, Apple is being too cautious and deliberate in its technological innovation. In particular, the absence of fast charging is inexplicable to me, and I've been more impressed by the cameras on Android flagships, such as the Samsung Galaxy Note5 and the LG G4, than with Apple's 12MP cam. As for the iPhone 6s Plus, that thing is ginormous for a smartphone! I'd rather use my iPad. To me, it is simply "another year, another iPhone." It's not the hardware, I love the hardware. It's not the camera, I love the camera. It's not the software performance, most apps perform wonderfully. It's iOS. I'm well past simply being tired of iOS and what now appear to me as a lot of "me too" features. We highlighted many our criticisms of iOS 9, those are things that have plagued the platform for years, and are pretty much the reason why I abandoned iOS years ago. Few are the phones I have nothing bad to say about. The iPhone 6s and 6s Plus are two such phones - not perfect, but pretty close to that point and great handsets overall. After using the iPhone 6s for a short while, I was more than satisfied by its battery life, the software's responsiveness, and the performance of its camera. As for 3D Touch, I'd say that it is a technology with potential. Although it feels gimmicky right now, I'm sure that future iOS 9 releases and third-party apps will give it more value eventually. Should you get one? If it is within your budget, then go for it! 2015 was probably the year many fans of the iPhone, or at the very least – techies that follow its development process – said "Finally!". The 6s and 6s Plus "finally" came with a RAM upgrade – up to 2 GB – and "finally" received better cameras – an area where Apple's handsets were beginning to slightly lack in. Aside from that, we were introduced to the new 3D touch, which feels fresh and innovative, and I can certainly see it becoming a mainstream feature in the next years, but doesn't feel like a necessity right now. Beyond the novelty of the cool “click” you get from the phone's taptic engine as you press in, there's nothing extremely exciting about the new iPhones. Don't get me wrong, though – it's not like there should be. Most manufacturers' annual upgrades are rarely an elaborate overhaul of the entire product – they just keep the design desirable, the feel fresh, and the hardware up to par with the newest trends. 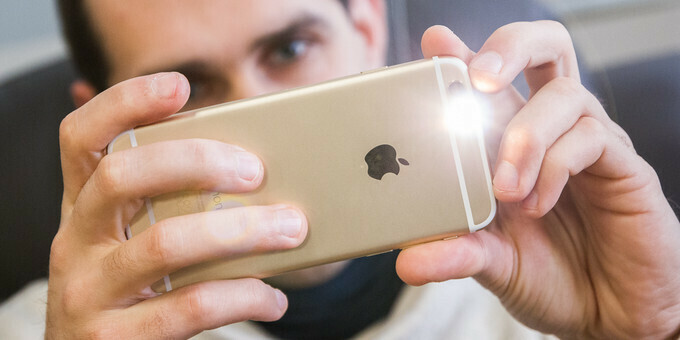 The bottom line is this – the iPhone 6 already does everything with an above-average quality. It's among the most snappiest phones out there; its pictures may not be the best, but are consistently good, no matter the circumstances; the depth of user experience might be limited, due to the locked nature of iOS, but at least you can be confident in its stability. All the iPhone 6s and 6s Plus had to do was to modernize the hardware a bit and keep the formula running – and they did. 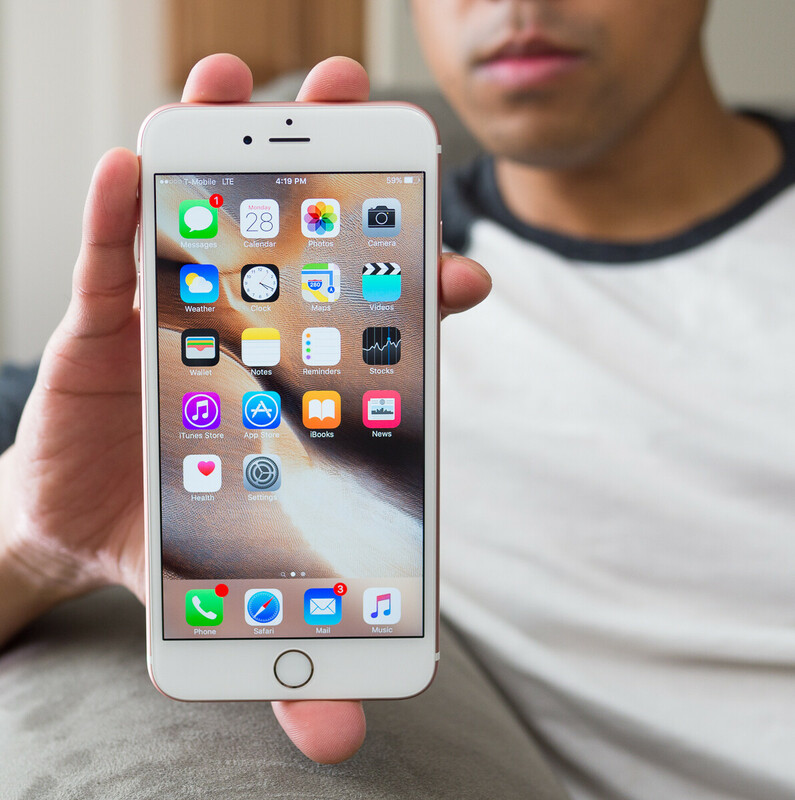 Is the iPhone 6s the best smartphone out there? Most certainly not – that's not a very objective thing to say. But it is among the few best smartphones that money can buy right now, and a lot of people will prefer it for its reliability and ease of use. Let's be honest here – even the best of the best Android handsets out there need to be pampered from time to time and some users just don't like to invest time and effort in the technological upkeep of a handset. I've been using an Apple iPhone 6 Plus for more than half a year now and I'm totally loving the experience, especially after iOS 9 arrived. I'm not an "iOS fanboy" per se, I just like the consistency and reliability of the iPhone-iOS combo. That said, I feel like the iPhone 6s Plus is not a worthy upgrade over the 6 Plus. Don't get me wrong, the way better hardware and the fancy new 3D Touch functionality are certainly worth it, but mostly so for those are rocking an older iPhone. Actually, if you're using such a handset, my sincerest advice is to upgrade. It's worth it. In this day and age, the 6 Plus is still as capable as it gets - although 3D Touch is quite tempting, I don't feel it's a reason to upgrade. As far as the smaller-sized iPhone 6s is concerned, I like it as well. However, I find the 6s and 6s Plus lacking the rather important "wow" factor that was present when the 2014 crop of iPhones arrived. Not that the two are unexciting, they just feel awfully familiar. I'm hyped up for 2016's iPhones already and my fingers are crossed with the hope that they will bring back the "Apple excitement factor" for me. Yes, I know it's too early to get one's hopes up, but there's nothing wrong with anticipating, right? The iPhone 6s is the best phone I've seen to date. Not because it's the best in everything, but because it's very good in everything. I think no other phone has that. Live Photos is cute, but I think it needs more work. I have bigger hopes for 3D Touch, and even though it works great as it is, it has to get even more useful if it is to become an inseparable part of the touchscreen experience. It does set the stage for a great iPhone 7, though. As an iPhone 6 user myself, I find little reason to upgrade to the 6s, but those sporting an older handset should do so at the first possible occasion. You won't regret it. The Apple iPhone 6s and iPhone 6s Plus are essentially one and the same phone in two different sizes. My preference lies with the smaller one: if you carry your phone in your pocket like I do, the 6s Plus' size is a major inconvenience. After around a month of using it on and off, I'm extremely content with some of its features and equally extremely annoyed with others. First, speed: it's smooth in a consistent manner that no Android phone can match (except maybe a Nexus). Then, it's the camera: reliable and simple, great for both photos and videos. Whenever I swap phones to the iPhone from Android, I catch myself using the camera more and that's also the case with 6s Also, there is 4K video: it's a noticeable improvement and it simply looks great. I've also rediscovered a love for the actually useful widgets on iOS: it's so easy to have a quick look at the weather, track your stocks, check how much data you have left, and I miss this functionality sorely on Android. Then, there are the annoyances and restrictions. Why is there no screen dimmer on iPhone? The screen is too bright and burns the eyes whenever I use it at night, and it just so happens that a huge chunk of my usage is with the lights off, just before I fall asleep. It's a huge annoyance. Sharing and uploading files via the iPhone is a little nightmare. It's still impossible to send more than 5 images via email. I hate iTunes with a passion, or rather, I hate being restricted to it and not able to just drag and drop files to transfer my music collection. Some built-in apps are also sub-par: the default mail and calendar apps for instance. Touch ID is faster and better now, but I still get quite a few missed readings and I turned it off after a week of use. 3D Touch sounds like a nice convenience at first, but most apps don't work with it and even those that do, I find myself not using it. The same goes for Live Photos: a cool concept at first, I turned it off after a couple of days since it does not make sense having it on for all photos and there is still no way to easily share those animated images. This brings me to the 16GB situation: it's just shameful for Apple, especially with 4K video. All in all, unlike last year's massively impressive iPhone 6 launch, the new 6s is much less exciting to me, a step forward in a mobile world that seems to be growing by leaps and bounds. Have a phone arena editor confirm otherwise. Stop making false accusations. Here it is, I can confirm: http://imgur.com/a/mqhTa Its also whenever I come into some thread you get the most upvotes out of all users even though your post is literally fart in the wind when compared to others. Btw SamsungPatriot is your account and probably other patriotgangtards. P.S. Did anyone noticed that while BobbyBuster is limited SamsungPhanboy is on the roll trolling? TBH, I actually blame PA here. They should either determine multiple accounts from IP address or integrate with DISQUS to let the mod take control of things but we all know its not gonna happen as one of the source of revenue for PA is advertising how many registered users they have on site. So by deleting account such as these its just gonna affect their revenue. Plus the added revenue generated by number of comments by fanboy wars us is an added bonus. No wonder we don't find much quality and constructive comments here. That's my 2 cents. So you mention how you're against igniting fanboy wars but all for falsely accusing someone of upvoting themself. Tech2, you're clearly a foolish idiot. I didn't mean to make you jealous by receiving a pointless like. I can give you ample of evidences (too) of how you magically get a like within a minute EVERYTIME you post a comment but ofc you won't believe as usual. In reply to your post from other account, I got 62 likes for my last 5 comments, so I wouldn't really say 'I don't get likes'. Just sayin... PS. Foolish and idiot mean the same. LOL, so who's a idiot now ? How exactly is it more finished than an s6 edge? And thts why s6 edge is unfinished?...Wow! Best not to think about it, you won't get much sense here. Just fanboys spouting nonsense. Everyone here has already figured out your fake Samsung fanboy wannabe comments. You are just another Apple troll trying to pat yourself on the back. How stupid do you think people are here? They are 1000x smarter than you are. oh no no no. A finished product by 2015 standart must have fast charging or wireless charging and a real NFC. iOS. Basic and boring. Battery life is decent. Yet you pay nearly the price of a good laptop for one? Honestly your paying into Apples ecosystem. Millisecond better speeds and Software features that don't take full potential of the hardware. Boring, basic, I'll stick with slightly slower app launching speeds and minor UI inconsistencies if it means I can keep finding new things to do with my phone after years of use. Not one day of use. U right no match for such polished and finished well all around device, one to another in the android segment will be better in certain aspect but not in a complete package! "not even Samsung" but I can't see my self stuck with a device that won't let me be me! if you know what I mean! I admitted, it was and still being since 07 the benchmark to approach and I think wouldn't be the same if it didn't exist!! competition is everything guys! I enjoyed reading this article. Thanks for sharing your opinions. TechieXP is gonna lose his mind on this article. A Declaration of Independence size rant is coming. Excellent all around phone, plain and simple. iOS can be kinda boring at times.